Whether your business is just starting out, going through some changes, or has been around for many years, having a good understanding of your financial position (especially your cash flow) can make a huge difference in your daily management and how you approach the future of your business. Starting to fill out a blank spreadsheet with projections may seem intimidating, but it has less to do with pure math, and more to do with how much you know (or can find out) about your business, the market, and other factors that influence the numbers. We are going to walk through the 6 steps to make an accurate financial projection, so grab a pencil and let’s get started! Editor’s Note: A version of this post was originally published in May 2014, it has been revised and updated for completeness and accurateness. 1. Put on Your Honesty Hat: Before you start, in order to get the most helpful and accurate forecast, you first need to be completely honest and realistic with yourself. No one else needs to see these numbers, so you don’t need to inflate them to impress anyone. And there is no teacher to grade you at the end of the day, so if it ends up being wrong, you can take it as a learning experience and use the information to adjust future projections. Time Frame. . Are you making an annual, quarterly, or monthly projection? If this is your first forecasting exercise, it might make sense to start with a 6-month plan, as it’s long enough to give you a good sense of what your business will do, but it’s short enough that you won’t feel “locked in” if something changes in Month 2. If you are creating a business plan, or looking for lending, you will probably need a monthly forecast for Year 1, and then 2 years of additional annual forecasts. Potential Market Size. If you already have historical information about how many customers you can service or members in your base, that is the best place to start. If you don’t, you’ll need to think about your business model and your total opportunity. For example, if you have a day care center, do you know all you can about the neighborhood you are in? Are there businesses you can partner with to reach their employees (and ultimately, their kids)? Do most people work 8-5 or 9-6 or something else? This basic information can help to guide your sales projection and revenue potential. The local chamber of commerce is a good place to head if you need additional information or want to talk to a knowledgeable resource. 3. Build a Conservative Revenue Projection: Think realistically about the time you have available to sell to or service your customer base as well as the price and discounts you have for signing up. There are only so many hours in a day, only so many hours your business is open, and only so many employees you have to help run your business, so make sure you are using accurate factors. Let’s continue with our hypothetical day care center. Say you have four full-time staff members. Two are in charge of infants or toddlers (i.e. can handle 4 children each), and two watch the Pre-K kids (and therefore can handle 8 each). You know that you are already at capacity for the infants/toddlers, but you still need to ramp up on the Pre-K level, so you can build that up over the first 2 months. You multiply the number of staff you have, by the number of kids you have, by how much you charge per kid per day and then by how many days you are open. 4. Don’t Underestimate Costs: After the previous step, you are probably feeling good about all of the money you are going to make, but you still need to do the cost side of the equation. Start with all of your fixed costs (rent payments, etc. ), and then move to your variable costs. You can use your revenue projection to guide the rate for the variable costs (e.g. adding or subtracting a staff member). It can be easy to forget something, so be diligent in your notes! 5. Understand Your Profit/Loss: Once you have both charts filled out, you add a few extra lines to summarize the data and see what it nets out to. If you are in the green, awesome! You can start to build a game plan to use or save it. If you are in the red, you might need to look over your plan again and see where you can cut some costs, build some additional revenue, or think about building a case for a loan. 6. Have Someone Check Your Work: We know we said you don’t need anyone else to see it, but sometimes it helps to talk through your assumptions and ideas with an advisor or consultant. The best is to find someone in your industry that you trust to review the plan. They can help you to talk through the risks, the assumptions, and the excitement you have around where your company might be going. If you don’t have a good resource, your local chamber of commerce, or the Small Business Administration can help you to find someone. 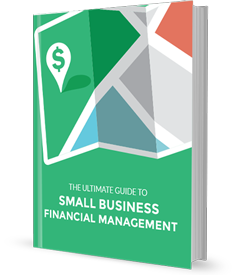 The above is an excerpt from “The Ultimate Guide to Small Business Financial Management.” You can download the complete eBook here.